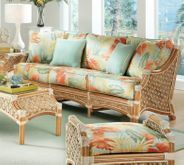 Enjoy the beauty and tropical nature of the Doral rattan group. 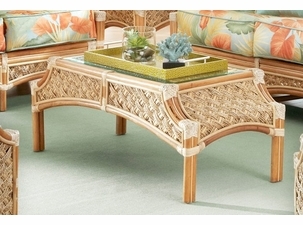 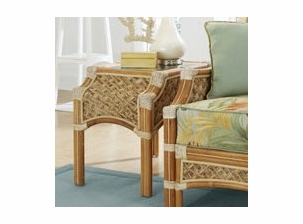 Paying close attention to detail, this set features a rattan and seagrass design fit for any sunroom. 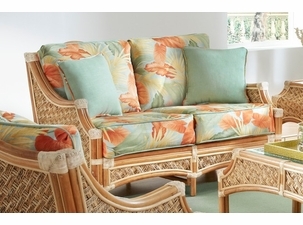 The light natural finish allows many fabrics to give your home decor a magnificent look. 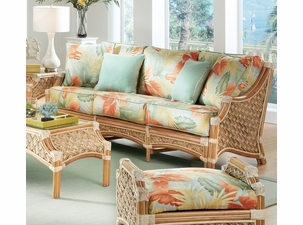 Create a grouping that works for you with rattan chairs, loveseat, sofa and tables. 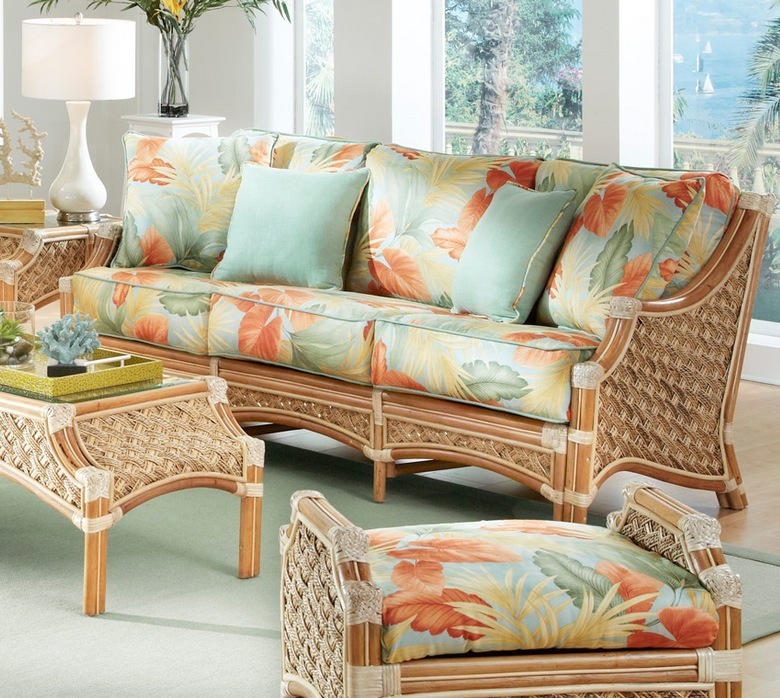 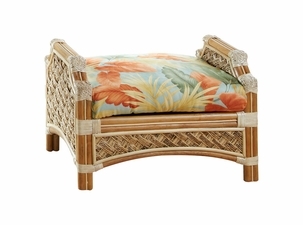 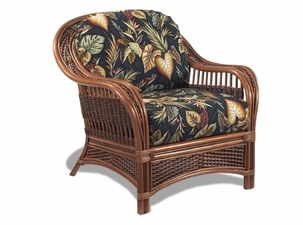 Tropical sunroom furniture can be yours with your choice of fabric!